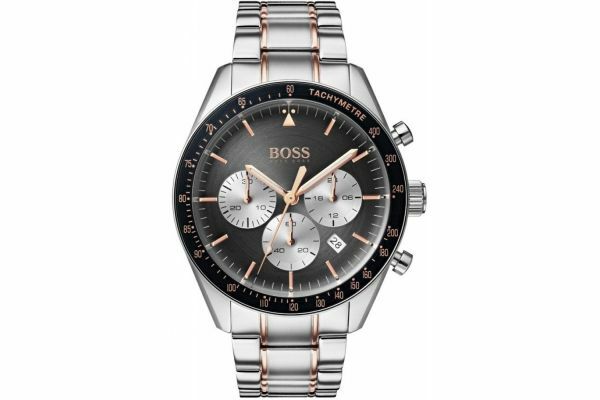 This alluring men's watch is brought to you by renowned fashion designer Hugo Boss as part of their new Trophy (1513634) collection and features a bold 44mm stainless steel case and black Tachymeter bezel. Housed beneath protective mineral glass lies the classic grey sunray dial complete with chronograph/stopwatch sub-dials, a 24 hour clock and a small date display window. Rose gold sword hands and rose gold indices adorn the watch dial and are emphasised by luminous detailing. 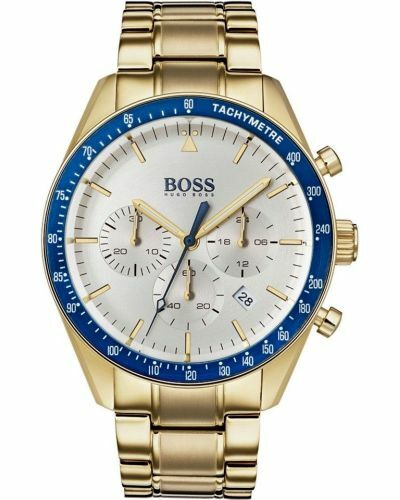 Set upon a suave three link stainless steel bracelet with rose gold highlights on the centre links; the Trophy watch fastens with a secure fold over closure with push button release. 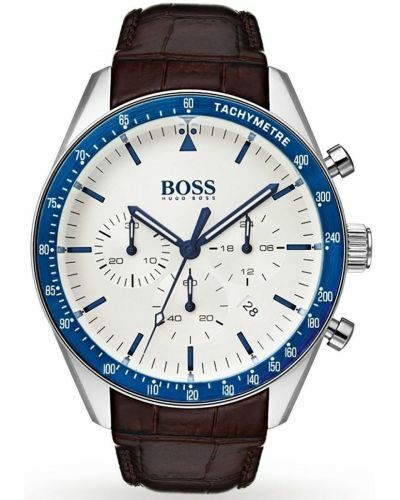 Powered by Quartz movement and water resistant up to 50 meters, this watch comes with a two year guarantee and official Hugo Boss packaging.